Visitors to stand E63 at this year’s Luxury Packaging 2014 show were able to see the revolutionary Dempson Bag – a cost efficient ground-breaking new machine made paper carrier bag concept from Dempson Ltd which packs a powerful marketing punch with its larger, high impact printable surface area and environmental benefits. 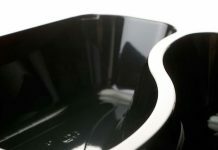 The revolutionary technology of the Dempson Bag is designed to provide carrier bags in tailor made sizes, including the potential for a uniquely wide bottom gusset that can be produced up to 350mm wide. 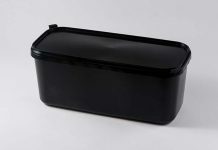 Perfect for use by high street retailers, the Dempson Bag can carry smaller gift items, accessories, fashion items, shoes, electronics and other consumer goods – including any larger items, even cakes and confectionery that must lie flat when carried out of the retail premises. 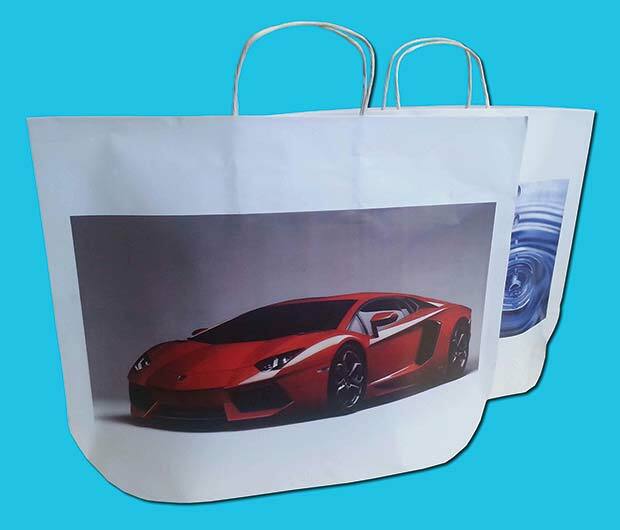 Dempson’s ongoing investment in flexographic process print technology means customers can benefit from superior quality 8-colour printing, including striking, photographic quality process print that will ensure their bags make an impact and stand out from the crowd. The Dempson Bag uses less paper than comparable conventional paper carriers and is stronger than a standard SOS bag because it has no bottom seam. This delivers the potential for additional savings through reducing the weight of the paper used in the bag’s construction whilst maintaining the bag’s strength. The unique, lay flat construction of the Dempson Bag enables better stock density, bringing further cost reduction opportunities and environmental benefits on distribution and stock holding. These factors mean the Dempson Bag can bring a greener footprint than traditional paper carrier bags. The bag features a turnover top, which adds strength to the opening as well as the opportunity to extend the print design around the inside edge for further aesthetic appeal. All of this is complemented by a range of different handle options – twisted paper, flat tape, cord and ribbon – providing the finishing touch. 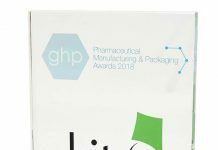 Luxury Packaging which is part of Packaging Innovations took place at the Business Design Centre in Islington, London, on 30 September – 1 October. Dempson exhibited on stand E63, where it highlighted its innovative Box Bag to brand conscious retailers looking for the perfect presentation of luxury goods and gifts. The Box Bag is a block bottomed “SOS” style bag but, when folded, it takes the shape of a box. The Box Bag, which can also incorporate a handle, provides better gift style point of sale packaging than a traditional-style carrier bag and is more secure as it is not open at the top.